The Vietnam Telecommunications Authority (VNTA) has just finished updating the latest data of the mobile number portability process (MNP) after 4 months launching. As expected, this process has led to a fierce battle among mobile network carriers in Vietnam. Statistics show that from November 16, 2018 to March 24, 2019, there were 224,852 mobile number subscribers registering to port to another network provider. Among them, 157,124 were successful in this process, accounting for 69.9 percent. The rest were refused due to their inability to meet all requirements. In particular, MobiFone welcomes 22,286 new users and loses 20,827 old ones. 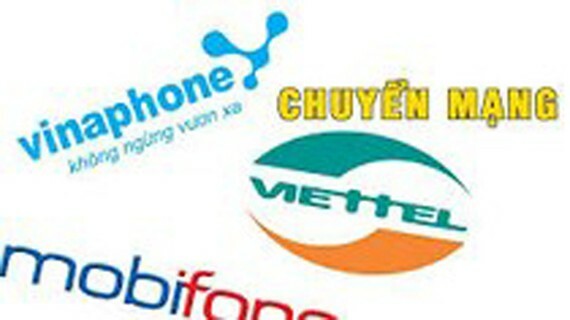 The figures for VinaPhone are 75,454 and 45,642; for Viettel 59,036 and 84,.608; for Vietnamobile 348 and 6,047 respectively. MNP has resulted in a series of marketing strategies by different network operators to attract more customers. It has opened a battlefield for these carriers to offer better services to phone users such as attractive promotions on package fees, free data use, introduction of a new integrated package, improvement on 3G and 4G packages, expansion of network coverage. According to the leaders of VNTA, MNP aims at boosting the competitiveness in the telecommunications market since it has shown signals of saturation. With MNP in effect, all network providers now have to more carefully consider offering services that are able to answer the demands of consumers in order to retain them, or else they will lose their own market share. Another pressure at the moment towards domestic mobile network carriers is the introduction of the 5G technology. Until now, the government as well as the Ministry of Information and Communications have displayed a great determination to avoid being left behind like the situation of applying the 3G or 4G technology. Minister of Information and Communications Nguyen Manh Hung affirmed the important role of 5G technology development in Vietnam, saying that it will become the vital factor in the digital economy of the future thanks to its remarkable features such as wider bandwidth, higher speed, denser wireless connections, lower data transmission latency, quicker responses. Highly aware of the above advantages of 5G technology, the Ministry of Information and Communications right at the beginning of this year approved the pilot of 5G in Hanoi and Ho Chi Minh City. As a result, domestic mobile network operators now have to seriously consider the amount of investment into proper infrastructure for this new technology since this sum is not at all small. 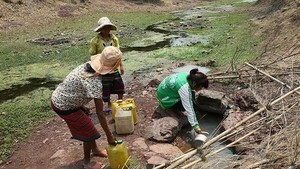 Meanwhile, experts commented that Vietnam has not taken full advantage of the current 3G and 4G yet. This needs sufficient consideration as well.